E-newsletters are one of the best ways to stay in front of your customers on a regular basis. The good news is that e-newsletter marketing is relatively inexpensive. In order to have a successful email marketing campaign, increasing the number of people that opt-in to your e-newsletter is critical. With the overwhelming amount of email flooding inboxes today, enticing people to sign up for your e-newsletter can be challenging. Here are 3 strategies for getting people to sign up for your e-newsletter. 1. Make it EASY for People– Add a Signup Form to Your Website. Make sure people know that you have an e-newsletter they can subscribe to. The best way to do this is to place a signup form directly on your website. We recommend this signup form be placed prominently on your home page, with a clear call to action. Tell your website visitors what kind of content you will be offering in your newsletter, and reassure them their email address will only be used for the e-newsletter. 2. GIVE them Something of Value. Offer something of value to everyone who signs up for your newsletter. Give a coupon, offer a discount on a service or provide them with helpful ideas centered around THEIR needs. For example, a real estate agent might send someone who signs up for their newsletter “Ten Tips to Help Stage Your Home.” A potential subscriber is more likely to sign up when they see immediate value. They are likely to stay if you continue to provide that value through your regular e-newsletters. 3. ASK for Email Addresses in All of Your Advertising. Use all your advertising venues to your advantage, including print ads. Just like with social media icons, put something on your print ads to show you have an e-newsletter they can sign up for. When it comes to marketing your business, all of your advertising mediums should work together to cross-promote each other. A website is no longer enough. Having a great website is important, but building a robust internet marketing campaign that leverages social media, offers a mobile version of your website and attracts new customers via a consistent e-newsletter campaign will give you the greatest return. Start an effective email marketing campaign today by contacting MSW Interactive Designs at 573-552-8403. 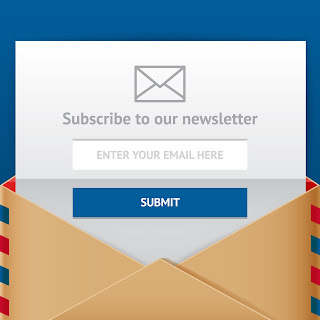 We can create a personalized e-newsletter solution just for you!